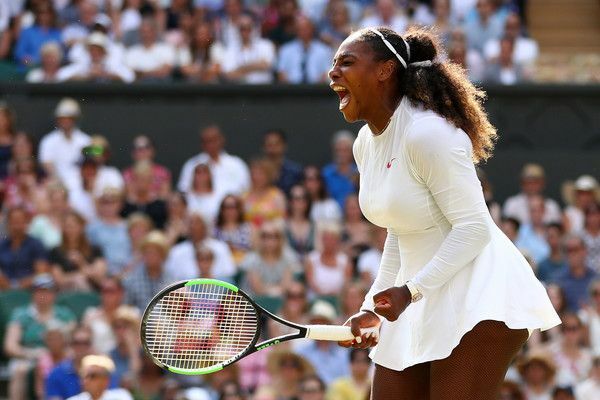 There's NO denying Serena Williams' incredible strength and unbelievable athleticism. 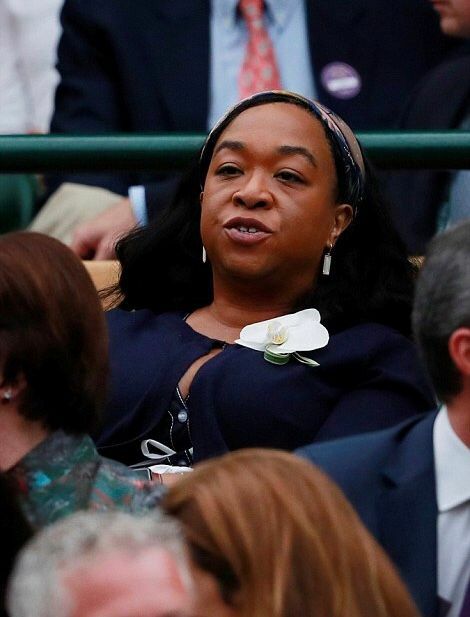 10.5 months after giving birth to her baby girl Alexis Olympia Ohanian Jr., the 36-year-old athlete made her return to Wimbledon in an effort to win a historic 24th Grand Slam title. Rena copped her 23rd Grand Slam Title after defeating her big sister Venus Williams at the 2017 Australian Open while pregnant. She has the most major titles in the Open era, sweeping past Steffi Graf. Margaret Court currently holds the all-time record with 24 Grand Slam singles titles and Rena’s right on her tail. 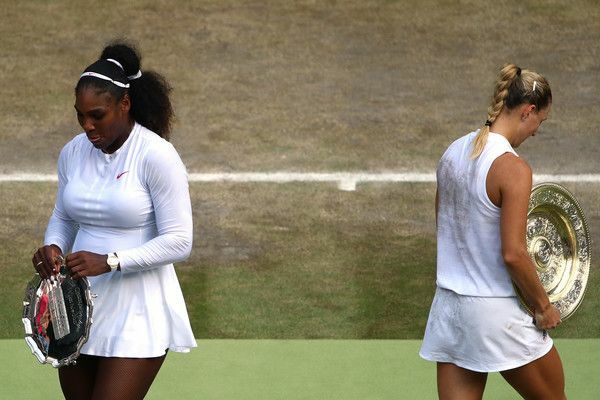 The tennis superstar was up against German player Angelique Kerber for her last match to clinch the trophy. 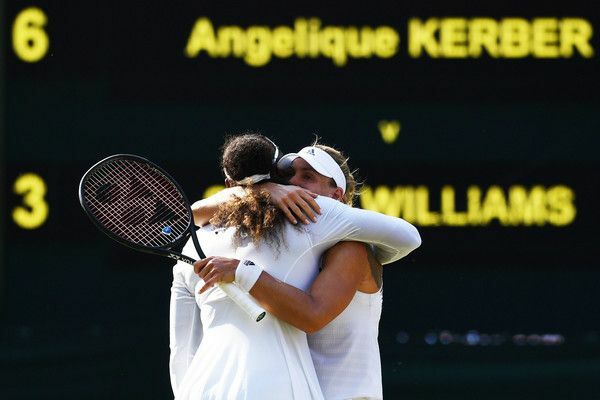 Unfortunately, Rena fell short and Angelique took home her first Wimbledon championship, in a 6-3, 6-3 victory in today's final. Ugh. We must admit, this was a hard one to swallow. She was SO close! With more than 20 years of slaying the tennis world, Rena's spot as the greatest is already signed, sealed and delivered. Period. Just her playing in this match was a feat in itself. She literally almost died from birth complications after the birth of her daughter. Now look at her. It's been less than a year and she's back on the tennis court fighting till the end. She is and will forever be the Queen of Tennis. 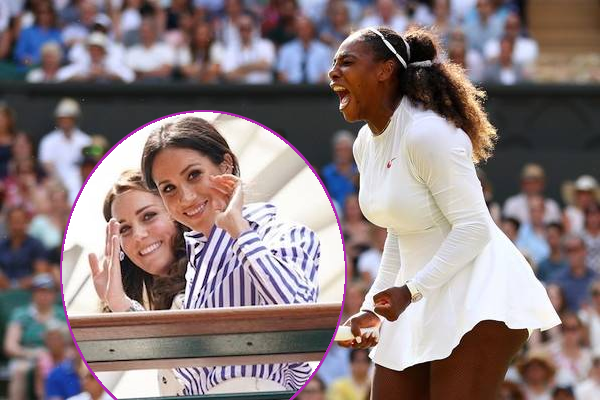 Duchess of Sussex Meghan Markle stepped out with her sister-in-law Kate Middleton to cheer her good friend Serena on. 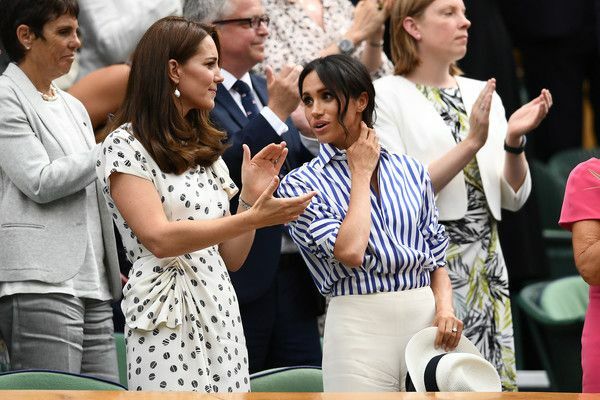 It was Meghan and Kate's first ever solo outing together. 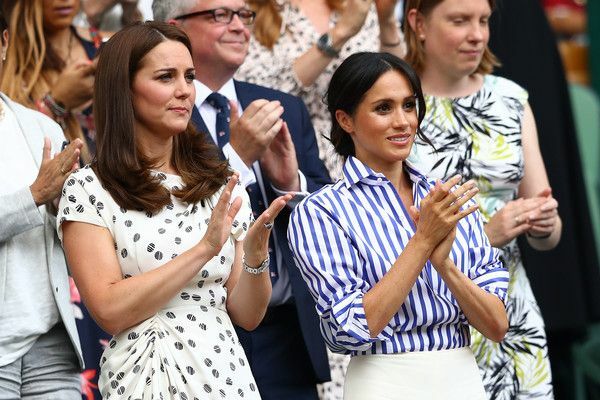 The newly minted royal rocked a stripped Ralph Lauren button up paired with ivory trousers for a relaxed, yet chic look. 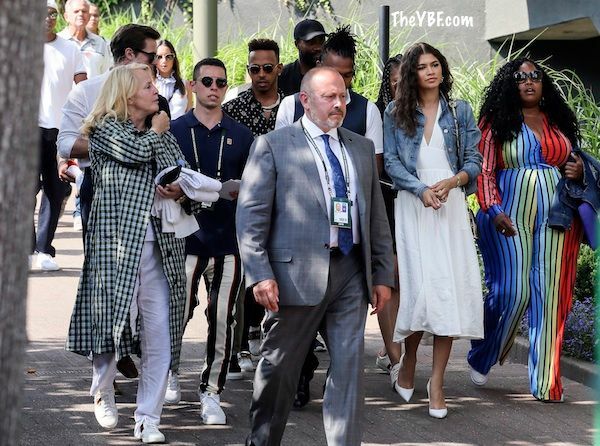 Actress Zendaya popped up in an all white dress styled with a denim jacket to cheer Serena on. 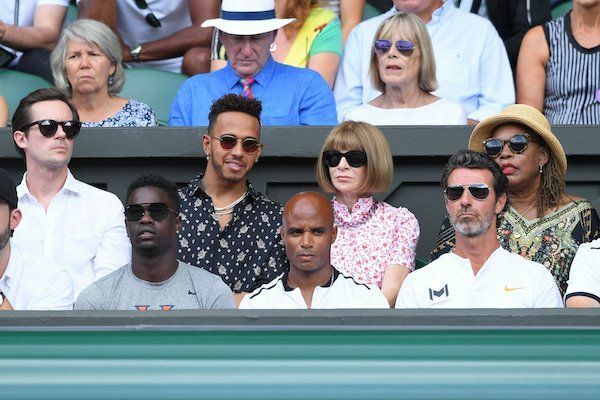 Serena's player box was star-studded, including appearances from Formula 1 racecar driver Lewis Hamilton, VOGUE editor-in-chief Anna Wintour, Serena's husband Alexis Ohanian (not pictured), her coach Patrick Mouratoglou, and her mom Oracene Price. 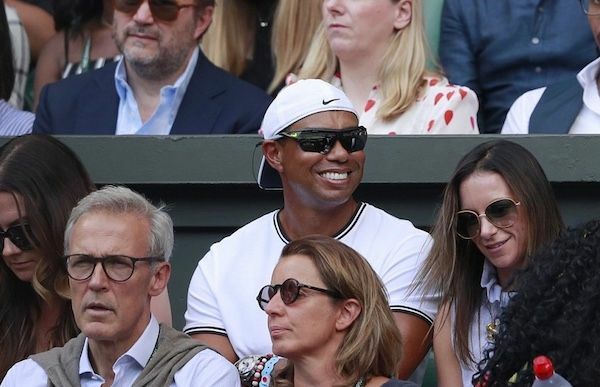 Thandie Newton, Shonda Rhimes, Tiger Woods and Boris Kodjoe (not pictured) were also in attendance to peep the tennis action.